The integration of the biogas storage Digelis™ Smart is applicable to the entire Digelis™ range. 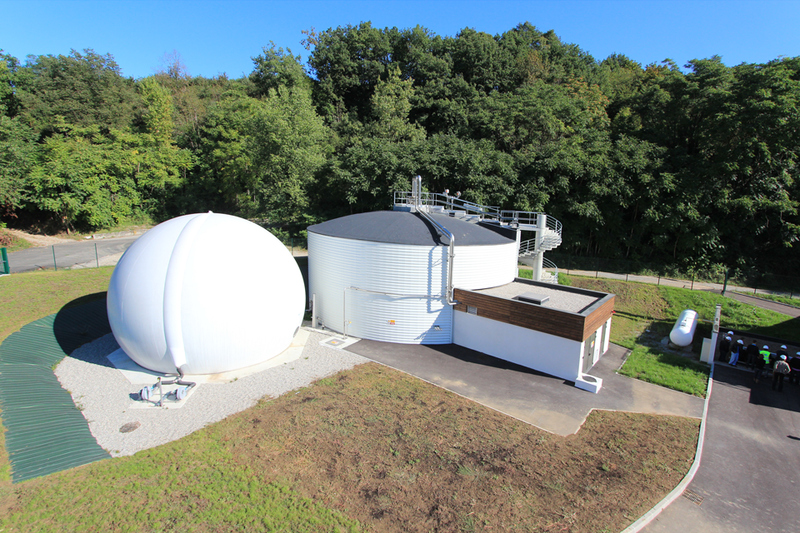 The DigelisTM Smartis a compact digester combining into the same facilities the sludge digestion and the biogas storage. It is designed for small to medium size plant where the conventional system is too costly. The DigelisTM Smart is supplied in continuous with thickened sludge which are digested by anaerobic and extracted from the digester 24h/24h, 7/7 days (continuous running at constant level) or intermittent running with differential volume in the digester (for example 8h/day).